A plant nutrient and soil acidifier - reduces susceptibility to powdery mildew and black spot in plants such as roses. 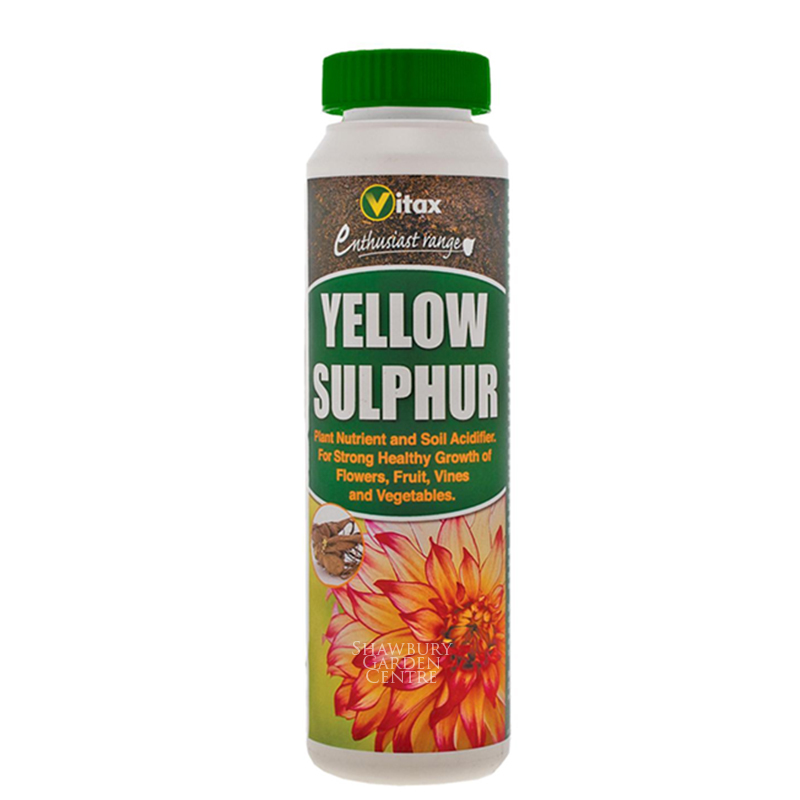 Yellow Sulphur is a traditional plant nutrient and soil acidifier and an important secondary nutrient for all plants. Sulphur deficiency in plants shows as a yellowing between the leaf veins and around the margins of the youngest leaves. If a plant is deficient in sulphur it can be susceptible to a range of diseases like powdery mildew and blackspot. Sulphur can be applied as a tonic, either puffed directly onto foliage or applied and worked into the the soil around the base of the plant. If you would like further information about Vitax Yellow Sulphur, please contact our garden centre at Shawbury just outside Shrewsbury in Shropshire, by calling 01939 251315 or emailing.